Loras reaches highest overall ranking in Learfield Directors’ Cup. Duhawk student-athletes closed out a successful 2017–18 campaign with a top-40 finish in the Learfield Directors’ Cup Standings out of 323 schools, the highest NCAA Division III finish in school history. Loras wrapped up the academic accomplishments. A total of 27 Duhawks were recognized as selections for the Iowa Intercollegiate Athletic Conference (IIAC) All-Academic Team for their efforts in the classroom. Meanwhile, 36 student athletes garnered All-Conference or All-Region recognition. Bella Solis (’19) led the charge for the women’s outdoor track & field team as it closed its 2018 campaign with a fifth-place finish in the conference. Solis earned her first All-American honor for her fifth-place finish in the 400m hurdles at the NCAA Championships. She also won the IIAC Championship women’s 400m-hurdles title with her time of 1:00.68, breaking both her own school record and the IIAC Championship record. She also ran on the 4x100m- and 4x400m-relay teams that finished third and fourth, respectively. Solis was joined by seven teammates in achieving top- five IIAC Championship finishes: Alexis Alt (’20) (100m, 4x100m relay and 4x400m relay), Allie Serres (’19) (800m), Bailey Vance (’21) (100m hurdles), Kemunto Ondande (’19) (800m), Rachel Kilburg (’18) (4x100m relay), Terrianna Black (’21) (4x100m relay) and Sarah Schoel (’18) (4x400m relay). 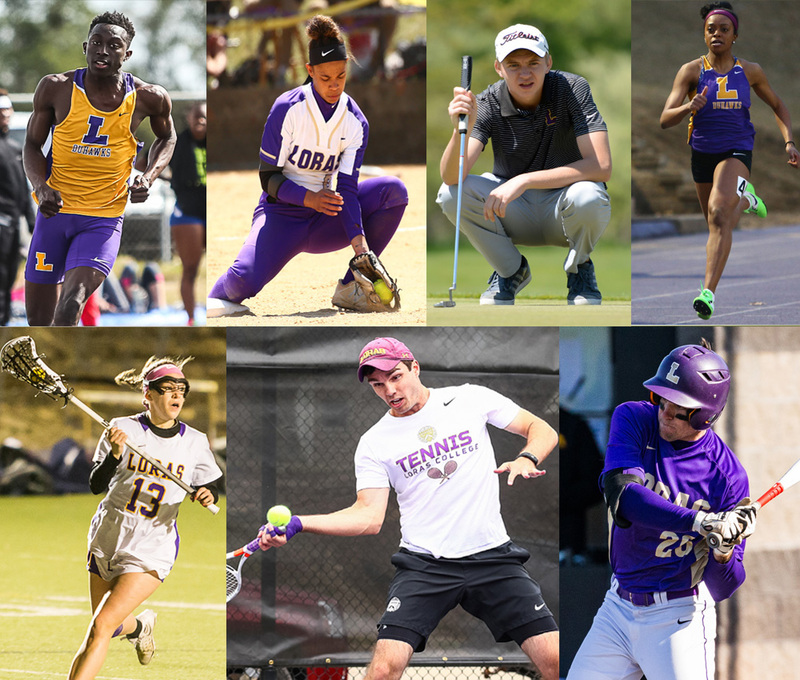 Seven Duhawks received All-Region honors from the U.S. Track & Field and Cross Country Coaches Association (USTFCCCA): Solis (400m hurdles and 4x100m relay), Elyse Acompanado (’20) (long jump), Black (4x100m relay), Alt (4x100m relay), Gabrielle Noland (’20) (4x100m relay) and Kassie Rosenbum (’20) (5k). In addition to success on the track, 10 Duhawks were named to the IIAC All-Academic team: Acompanado, Alt, Laura Bainter (’19), Krystyna Kaminski (’20), Kilburg, Mikaela Lengwin (’19), Molly MacDuff (’19), Kelly Minear (’18), Schoel and Molly Walkner (’19). Finishing in fifth place in the IIAC, the Loras Softball team played its way into the conference tournament before bowing out. They finished the year with a 19–20 record. 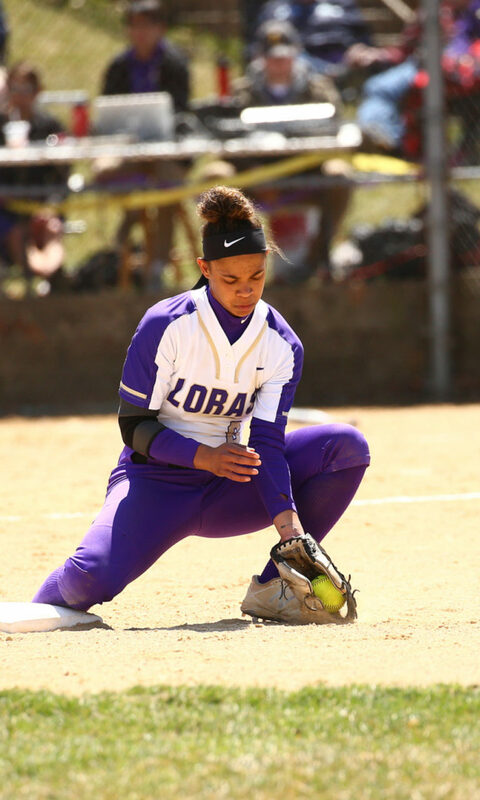 Bria Lenten (’18) completed her career on the diamond with her name prevalent in the Loras record books. She extended her consecutive- games-started streak to 154. Her 136 hits ranks fourth all-time in school history, while her 99 runs scored rank second. In her four-year career, Lenten drove in 104 runs, good for second in school history. Her final season merited an IIAC All-Conference Honorable Mention nod, as well as a National Fastpitch Coaches Association Third Team All-Region selection. Savanah Fowler (’18 ) batted .398 on the season and was named IIAC First-Team All-Conference. Nabbing second-team honors was teammate Hannah Towns (’19). Four Duhawks were named to the IIAC All- Academic Team: Cassie Rottink (’20), Tara Shingler (’18), Towns and Regan Wolverton (’18). The Women’s Lacrosse team finished tied for fifth in the Midwest Women’s Lacrosse Conference (MWLC) with a 5–7 record and 7–9 overall. The Duhawks set a team record for ground balls with 398. Renata Veljacic (’19) received MWLC All- Conference Honorable Mention, while Ashley McGee (’18) was named to the conference All- Sportsmanship Team. Olivia Flynn (’20) established a team mark for points in a season with 48, leaving her five short of 100 for her career. McGee finished with 144 saves in goal, fifth best in the conference. When not active in the pool, the aquatic Duhawks excelled in the classroom. The Loras women’s swimming & diving team was named College Swimming Coaches Association of America (CSCAA) Scholar All-America for its academic achievements in the spring of 2018. 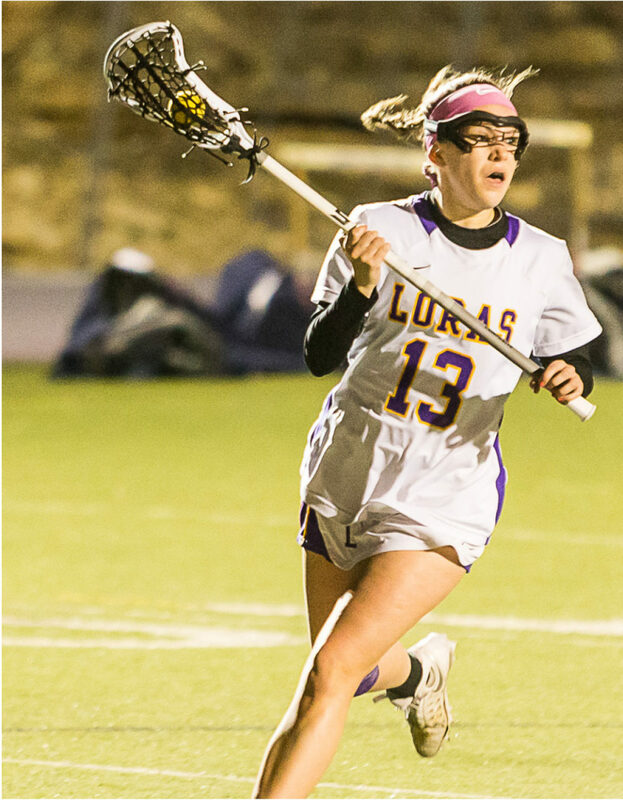 Loras qualified as a team with a cumulative grade-point average of 3.14, earning the award for the second time in the past three seasons. Championships were on the docket for the Loras Men’s Track & Field team in 2018. Patrick Mikel (’20) capped off a stellar season by finishing second in the 400m at the NCAA Division III Championships as well as sixth in the 200m. 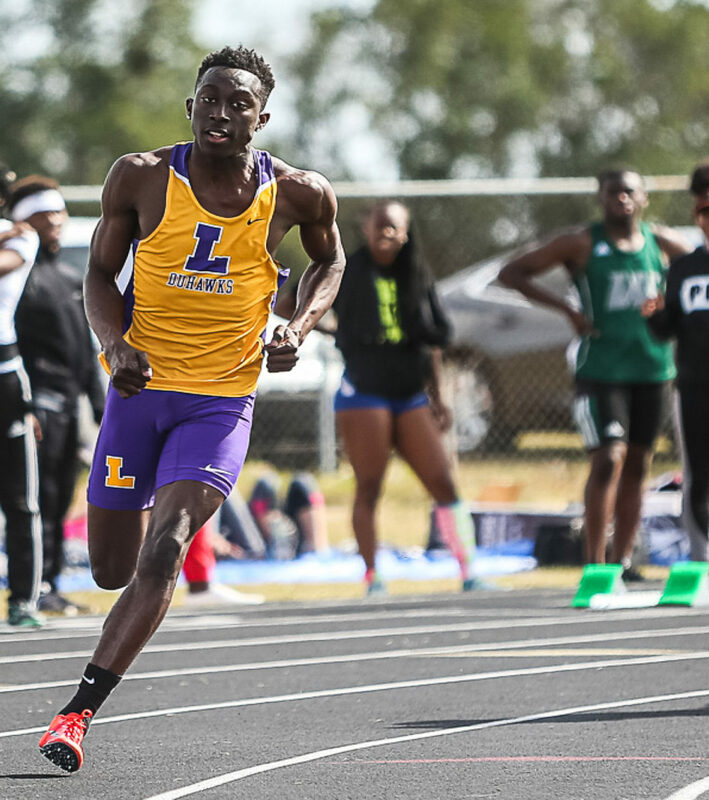 He also claimed his second consecutive Outdoor Track MVP honor at the Iowa Conference Outdoor Track & Field Championships by winning the 200m and 400m, and as part of the first-place 4x400m-relay team with Shamari Scott (’20), Anakin Hall (’20) and Tyson Morrison (’20). At the national championships, the 4x400m-relay team of Scott, Evan Gradoville (’19), Morrison and Mikel blazed to a school record of 3:12.933, breaking the mark set by Matt Jones (’05), Tedd Allen (’05), Erik Melloy (’03) and James Croker (’05) in 2003. That same foursome finished sixth in the event finals. Ryan Rogers (’21) became Loras’ first decathlon champion at the IIAC Championships. He won five of the events and set three personal bests en route to his title. Timothy Sevcik (’18) was selected to the Google Cloud College Sports Information Directors of America (CoSIDA) Academic All-District Team. It is the second such honor for Sevcik, who was selected as an All-District honoree in 2017. He also earned All-American honors for his efforts on the track. At the Conference championships, Kylian Lally (’18) topped all competitors in the 800m, while Hunter Dunlap (’18) won the pole vault. The team boasted seven IIAC All-Academic Team members: Chris Ball (’18), Matt Gagen (’18), Jacob Jansen (’20), John Meskimen (’19), Noah Smith (’20), John Stoppelman (’18) and Jake Till (’19). A total of 15 student-athletes earned All-Region honors: Mikel (400m and 4x400m relay), Dunlap (pole vault), Hall (4x400m relay), Lally (800m), Morrison (4x400m relay), Colby Rattenborg (’18) (long jump and triple jump), Rogers (decathlon), Scott (400m hurdles, 4x400m relay), Sevcik (5k) and Mason Tope (’18) (5k and 10k). The golf team carded an even-par combined score to claim victory at the Duhawk Spring Invitational. 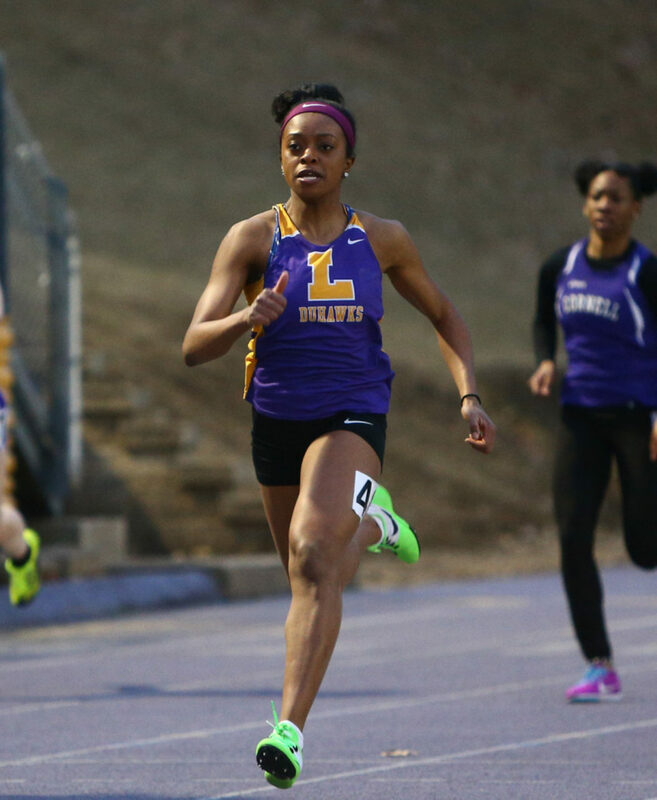 That followed a third-place showing at the Loras College Spring Invite. The Duhawks finished the year fifth in conference play. Jake Peiser (’21) closed out his first year on the Loras links with an IIAC All-Conference nod. 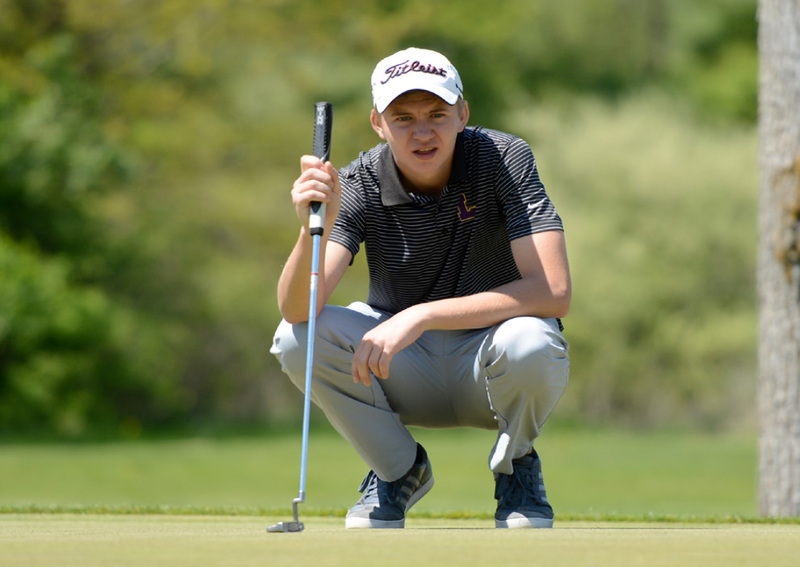 He shot a total 301 at the conference championships to earn an eighth-place finish. Dylan Lange (’19) was named to the IIAC All- Academic Team. 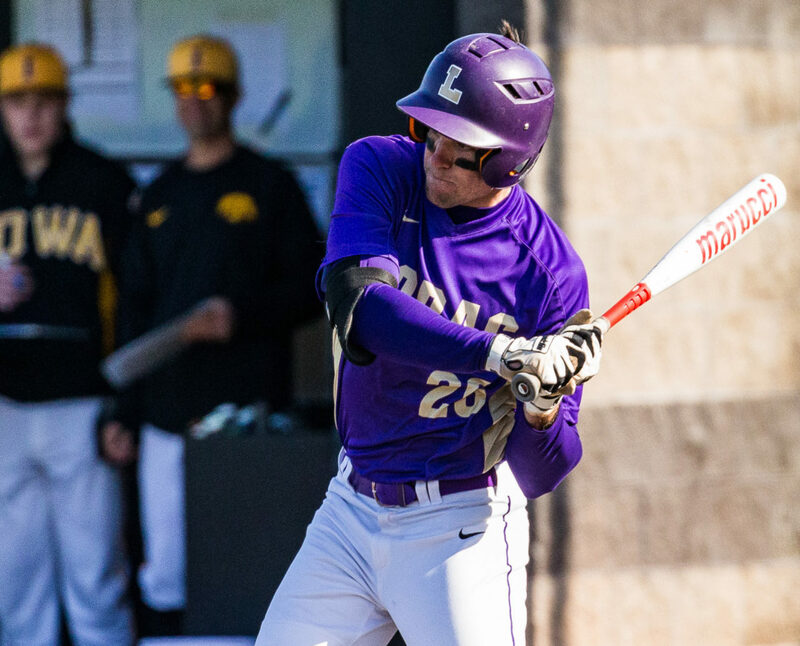 On the diamond, Loras battled to a fourth-place finish in the conference with an overall record of 25–15, the highest win total for the team since 2009. The Duhawks advanced to the conference tournament before bowing out. Pitcher Brad Schwind (’18) went 7–2 in 12 starts, leading IIAC First Team All-Conference honors. Schwind’s 81 strikeouts in 2018 broke the single-season record previously held by Dan Green (’89), who had 74 in the 1987 season. Additionally, Schwind finished second in program history for career strikeouts with 210 behind the career strikeout record of 212 of Art Huinker (’57). Danny Weis (’18) also earned All-Conference status behind an impressive performance at the plate. He was named a Third Team ABCA/Rawlings All-Region honoree and to the D3Baseball.com All- Central Second Team. Ryan Koester (’18) was tabbed for the Second Team. Fellow Duhawks Aidan Wojciehowski (’18) and Tyler Tomaka (’18) were recognized with honorable mention nods for their efforts out of the bullpen. Blake Anderson (’19), Patrick Costello (’19) and Wojciehowski all earned IIAC All-Academic Team honors. 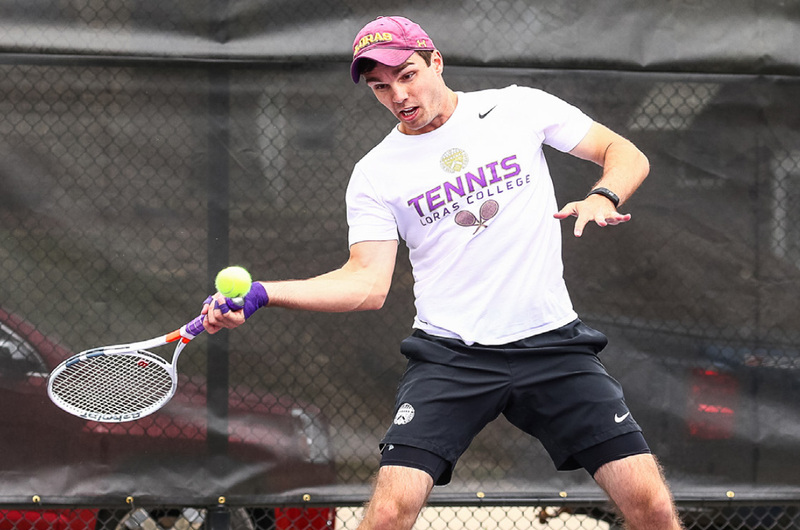 The Men’s Tennis team advanced to the conference tournament semifinals before its season drew to a close.  They finished fourth in the conference at 5–3 and 13–5 overall. Jason Derby (’18) earned All-Conference honors for both singles and doubles. He went 14–2 on the year, including 7–1 in league play in singles and 11–5 in doubles. Derby was also named to the IIAC All-Academic Team. All-Conference Honorable Mentions went to Sean Baldwin (’19), Charlie Harris (’19) and Riley Michel (’19). The trio combined to go 45–17 this season in singles and 15–9 in conference play. Baldwin and Michel teamed up for doubles, totaling a team-best 14 wins this season and finishing at 14–4. Connor Halbmeier (’20) claimed IIAC All-Academic Team honors.